introduce you to working with colour in tapestry weaving. 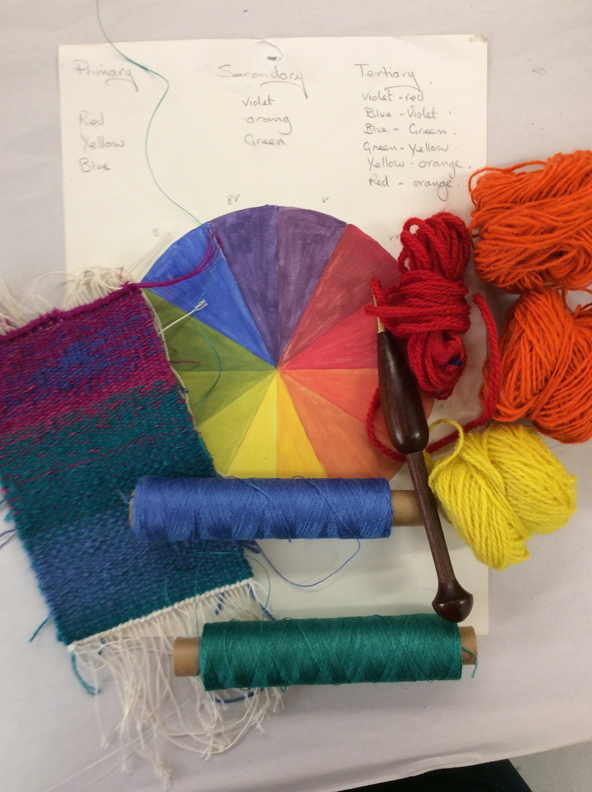 This workshop workshop will introduce you to working with colour in tapestry weaving. Yarn blending produces deep, rich, shimmering colours and when cleverly used can create the illusion of transparency. The course will cover basic colour theory: understanding the importance of hue, tone and colour relationships in blending yarns. You will be creating a series of small colours sample exploring a range of techniques for colour blending in tapestry. Multiple wefts, hatching, vertical shading and pick and pick are just a few techniques we will experiment with. You will be working with a range of traditional materials of a cotton, linen and wool to discover how different materials affect the surface quality and intensity of the colour. Translate designs in to tapestry. The course is suitable for beginners and weavers with a little experience of tapestry weaving who wish to explore the technique further. The workshop is structured to provide individual tuition in small groups of 4-6 students.